Back by popular demand, BOB HIRSCHI and PEGGY PETERSON RYAN reunite in a salute to America’s popular husband-and-wife team, Steve Lawrence and Eydie Gormé. 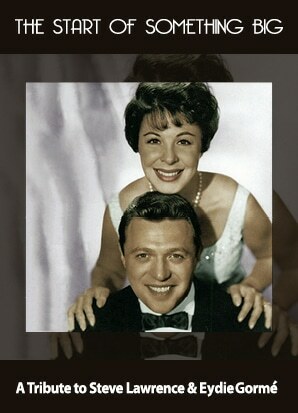 Along with their top-notch backup band, Bob and Peggy take a nostalgic look back at America’s favorite pop vocal duo, tracing Steve and Eydie’s journey from their successful solo careers to their personal and professional partnership. Featured tunes from the Great American Songbook include NIGHT AND DAY, I’LL TAKE ROMANCE, and LOVE AND MARRIAGE.